"China and International Law/Norms: A Japanese Perspective"
Signs of China respecting and complying with international law and norms are mixed at best. Assuming that international law and norms are the foundation of the postwar liberal international order, established and sustained by the United States and other advanced democracies including European states and Japan, I use the concept of a liberal international order interchangeably with international law and norms. I also distinguish three patterns of Chinese behavior toward the liberal international order with examples of particular relevance to Japanese observers. The first pattern of China’s behavior is to make the best use of existing rules and institutional arrangements to defend and advance its own national interests. Virtually all countries engage in such instrumental pursuits in regional and global institutions, and this pattern is not peculiar to China. Second, China has some idiosyncratic preferences as to the way international affairs are to be managed, stemming from its traditional values as well as experiences in modern history as a wounded Middle Kingdom. This leads to the Chinese inclination to resist or try to modify some rules and norms from within the existing liberal international order. Chinese behavior in the WTO and in negotiations related to the United Nations Framework Convention on Climate Change (UNFCCC) are cases in point. While these two types of behavior do not present easy challenges to the architects of the liberal international order, they are generally understandable coming from a rising power. Moreover, they are clearly in accord with Japan’s long-established China policy, which is to help China to modernize and to enmesh China in the liberal international order. 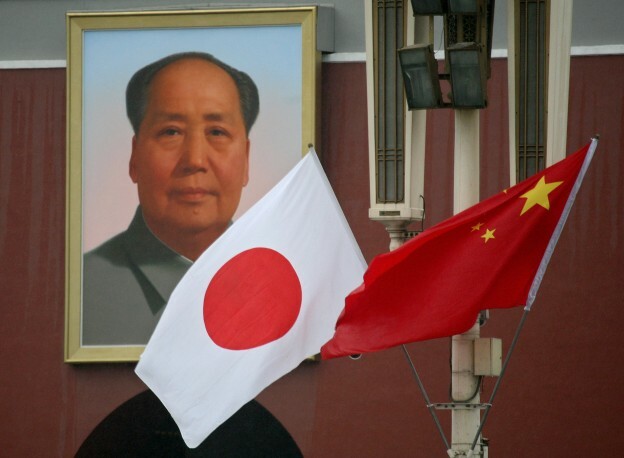 Japan, for instance, was the principal supporter of Deng Xiaoping’s ambitious open door and reform policies from the end of the 1970s, which laid the foundation for China’s spectacular rise. In Japan in October 1978, Deng took the first step toward working with the advanced industrial nations in a long march toward creating a strong China. Japan responded positively, deciding to provide massive ODA as well as to become the first provider of FDI. Its policy goal was to contribute to the economic and social development of China, which was regarded as the foundation of stable bilateral relations, and by extension, the stability of the entire East Asian region. This was to rest on respect for international law and norms, which Chinese leaders did not repudiate. Another important precedent in later years was Japan’s strong support for China’s entry into the WTO. This was demonstrated by Japan becoming the first developed country to conclude bilateral negotiations with China in July 1999, creating strong momentum for other bilateral negotiations toward China’s eventual admission in 2001. By that time, China’s relations with the advanced economies and democracies had become full-blown, to the extent that Japan’s importance had diminished in relative terms. The importance of the existing liberal international order for China appeared to be growing, as many regarded its entry into the WTO as a powerful stimulus for accelerating this outcome. The spectacular rise of China is without doubt the result of China fully taking advantage of the liberal international order. Still today, mainstream thinking in China, as elsewhere, assumes that in order for China to continue to rise and tackle accumulating problems, both domestically and internationally, it will continue to have to live within the existing liberal international order, and even craft its grand strategy accordingly. This gives some assurance of the future possibility of China continuing to steer the process of its rise essentially within the liberal international order, i.e., according to the established international law and norms, no matter how complex and challenging the task is for both China and other countries. Despite these two assuring styles of Chinese behavior, the third pattern causes grave concern regarding the Chinese attitude toward the liberal international order and its underlying norms. Of particular importance is China’s claim that disputed islands in the South China Sea and the East China Sea are its since “ancient times.” The claim is not new. China did not hesitate to use force to take over the Paracels from South Vietnam as early as 1974. China once again engaged in a maritime battle with Vietnam and seized some of the Spratly islands in 1988. In 1992, China enacted the Maritime Territorial Law, claiming sovereignty over the waters and islands in the South China Sea and the East China Sea. In 1995, China built a structure on Mischief Reef within the EEZ of the Philippines and established physical control. In dealing with protests and controversies over these actions, China has maintained a firm and uncompromising attitude, saying that the issue should be dealt with only bilaterally and never be brought to multilateral forums or third-country mediation. In recent years, as China has risen and begun to feel increasingly confident as a great power, its unilateralism has become increasingly explicit. This tendency is clearly in conflict with international law and norms, the most important element of which is non-use of force as a means of settling political differences. Japan is a direct party to the divergent claims of ownership over the Senkaku (which China calls the Diaoyu) islands, which have been under the effective administrative control of Japan over the past 120 years (which includes the period of about 25 years when the United States controlled Okinawa after the end of the World War II). Beijing’s position is that the decision by the Meiji government to include these islands in Japanese territory in January 1895 is illegitimate because it was made in a secretive manner in the process of winning an “aggressive” war against China that led to the colonization of Taiwan in April 1895. The islands are part of Taiwan, the Chinese argument goes, and therefore should have been returned to the Republic of China after Japan unconditionally surrendered to the allied powers by accepting the Potsdam Declaration in 1945. Japan claims that no country had sovereign control over the islands in 1895 from the point of view of modern international law, that the Sino-Japanese War in 1894-1895 was a “normal” war by any international standard, and that separating the decision to establish sovereignty over the Senkaku islands from the colonization of Taiwan was a legitimate act according to the international norms at the time. Moreover, Tokyo argues, the San Francisco Peace Treaty clearly recognizes that the islands are part of the Okinawa archipelago, and Beijing did not even question this, let alone claim sovereignty, until December 1971, i.e., until after Taiwan started to raise the issue. The purpose of juxtaposing the divergent claims between Beijing and Tokyo here is not to argue which has a stronger case, but to bring into relief the fundamental aspect of the conflict—a paradigm clash over the preferred international order. China basically says that modern history since the 1894-1895 Sino-Japanese War, or for that matter since the 1840-1842 Opium War, is both illegitimate and humiliating for the great nation of China, and that the status of the “Diaoyu” islands should be brought back to what it used to be in “ancient times.” Japan’s position, in contrast, is rooted in the legitimacy of Japanese actions under the Westphalian international system and according to its rules and norms. It appears that mainstream Chinese thinkers are convinced that the future of China as a great power rests on its ability to steer the course of its rise by remaining in the established liberal international order. The third type of Chinese thinking, however, rooted in a victim mentality vis-à-vis the West (including Japan) and a strong sense of pride in the ascendance of China, strengthens the inclination, consciously or unconsciously, to seek an alternative international order respecting Chinese preferences and interests. What makes this more worrisome is the uncertainty relating to the role of the PLA as the decisive voice in foreign policy in general, and in territorial disputes in particular. This situation gives rise to a paradox at this time of critical transformation of the regional and global order, which is expressed in various ways in East Asian countries: security dependence on the United States versus economic dependence on China, hedging versus engagement, differences over democracy and human rights versus common interests in maintaining stability and sustaining prosperity, Chinese refusal to deal with territorial disputes bilaterally versus China’s charm offensive in multilateral negotiations on the code of conduct at sea, etc. The challenge for the rest of us in East Asia, including Japan, is to work with China effectively to encourage its evolution in accordance with international law and norms of the established liberal international order, while guarding against Chinese unilateralism, drawing on its economic clout and growing military power, which poses the danger of a paradigm clash over the preferred international order. A fundamental necessity is for countries in East Asia to cooperate with each other in reaffirming the existing liberal international order and ensuring that steps to establish a regional order are fully in compliance with its norms. So far, diplomacy by Prime Minister Abe Shinzo has produced mixed results. On November 16 and 17, Abe made a trip to Cambodia and Laos, concluding visits to all 10 ASEAN countries since January of this year. Japan-ASEAN relations have made great strides toward an equal partnership since Japan became ASEAN’s informal dialogue partner in 1973. This year marks the 40th anniversary of the ASEAN-Japan partnership, and the 10 heads of state of the ASEAN countries are scheduled to gather in Tokyo for the commemorative summit meeting with Abe in December. During the past four decades, the history issue has ceased to be an obstacle in the relationship and the involvement of the Japanese SDF in non-traditional security cooperation is much welcomed, rather than resisted, by many ASEAN countries. In his trip to Vietnam, Thailand, and Indonesia in January of this year, Abe emphasized “value diplomacy” explicitly, but in his recent trips to the region, he has come to stress “proactive pacifism” rather than democratic values. The obvious problem in focusing on value diplomacy is that, even if China is not mentioned, targeting China is quite obvious, if only rhetorically. Although many ASEAN countries share concerns over Chinese unilateralism, they also realize that they do not have the option to confront China directly and will have to coexist with it for both prosperity and security. In this respect, Japan is essentially in the same boat with ASEAN countries, and Japan needs ASEAN as much as ASEAN needs Japan. Of importance as background to “proactive pacifism” is revisiting the right of collective self-defense under the US-Japan alliance setup. Exercising this right will obviously strengthen the alliance as a hedge against China’s temptation to seek an alternative regional order, and it will give added weight to the US pivot/rebalancing strategy. As to typical South Korean concerns, it is obvious that strengthening the US-Japan alliance has nothing to do with the “revival of Japanese militarism,” but, to the contrary, is beneficial for the South Korean strategy of coping with North Korea and, by extension, for the stability of the Korean Peninsula. This is precisely why Washington welcomes Japan’s attempt to revisit the issue. Appropriately, in this year’s July/August issue of Foreign Affairs, Abe said, “Even if we amended the constitution and were able to exercise the right to collective self-defense, we would still be in a more limited position than the Canadians.” This is not mere rhetoric but reflects the reality of Japanese security policy resembling that of a middle power more than anything else. What clouds this reality in the eyes of many observers is nothing but the history problem. This arouses confusion with a leader, who is essentially motivated by revisionism over the past history of Japanese aggression, advocating “proactive pacifism” to protect the liberal international order sustained by rules of law and democratic values.” This is a grave flaw in Abe’s diplomacy, notably for Japan-South Korean relations, because what was said above about the Japan-ASEAN partnership is applicable to Japan-South Korea cooperation in Japan’s comprehensive strategic considerations. Also, Abe’s historical revisionism alienates moderates in China, with whom Japan and the region would have to work in order to keep China in the liberal international order.